High-Grade Cable Glands manufactured by Pflitsch guarantee reliable seals in industrial environments. Superior strain relief ensures that the cables cannot slip out or be pulled out of the connector. The UNI Dicht and blueglobe have a proven track record across hundreds of industries and extremely versatile and rugged applications. They feature large-area, spherical sealing inserts achieved using high-grade materials. The gland’s reliable soft-squeezing action is gentle on the cable and does not cut into, indent or “pinch” the cable sheath and lasts over the lifetime of the product. These Pflitsch cable glands ensure high operational reliability and durability even when subjected to strong vibrations. Our cable gland and cord grip types are available in metal (brass and various stainless steels) and in high-grade plastic (polyamide and PVDF). 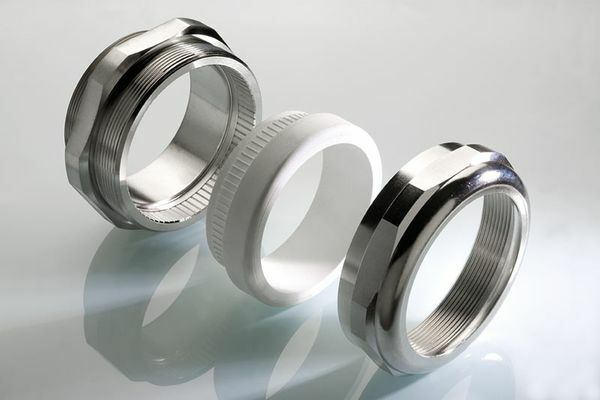 Pflitsch manufactures the sealing inserts out of TPE, TP, -V and silicone to meet the requirements of your project. They achieve high ingress protection ratings of IP68 and IP69K and fulfill the international standards such as VDE, UL, CSA, EAC as well as EMC and ATEX standards. 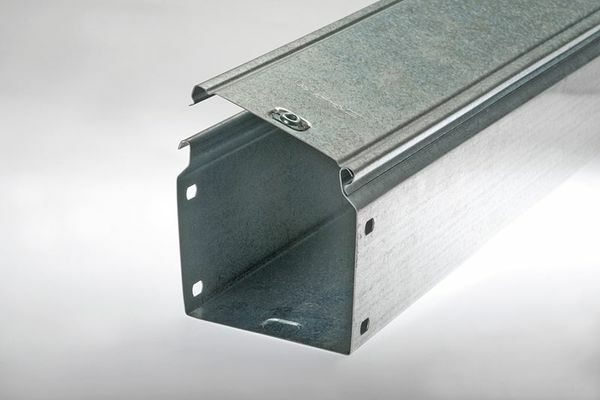 Pflitsch has been setting the industry standard with its Industrial Trunking and Wire Tray with 13 different cross sections from 2” x 2” and up to 24” wide. Over 80 accessory fittings and cover variations ensure the system is suitable for your specialized application. The trays can be opened over its total length to allow preassembled cables to be placed or removed quickly and easily. Other features include Safe cable routing for large cable volumes, different cover variants, hinged covers, press-fit, self-securing domed nuts for vibration resistance and equipotential bonding, low-burr cut edges and protection guards, UL and VDE tested. Pflitsch wire mesh cable trays are widely used in industries such as food processing for wash down and of course you high tech cabling and network needs. Without energy, running a business would be impossible. That’s why PFLITSCH is here to provide you with solutions that will safely implement electrical energy into your business. Depending on what industry your company is a part of, there are different needs for cable installations. PFLITSCH strives to provide you with the information, products, and services to know exactly what your company needs and rest assured that you have a product that will keep you and your employees safe and efficient in the workplace. PFLITSCH provides solutions for telecommunication companies; the railway industry; chemical, oil, and gas industries; the electrical industry, and much more. So if you’re looking for a reliable company that is committed to understanding your goals and helping you to achieve them, visit PFLITSCH.